This bright open space for living and dining is great for relaxing and entertaining with family and friends. 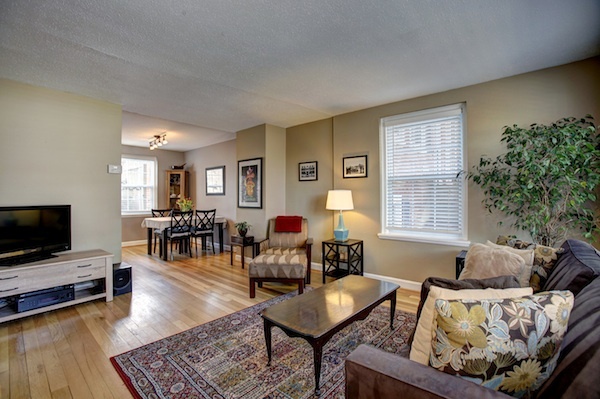 Check out those gorgeous hardwood floors! 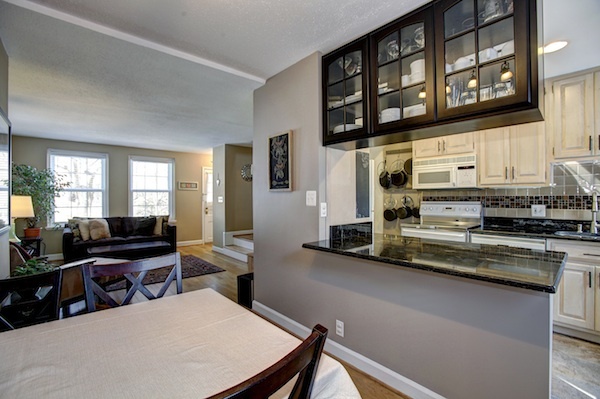 You’ll feel a part of the action when cooking in this kitchen with its easy access to the dining room and a welcoming counter space for guests. 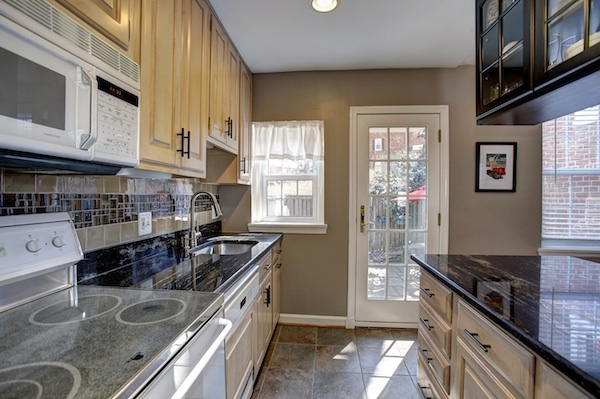 This updated galley kitchen is NOT short of storage, counter space or light! You’ll enjoy having the backyard patio right outside that door for grilling and entertaining. 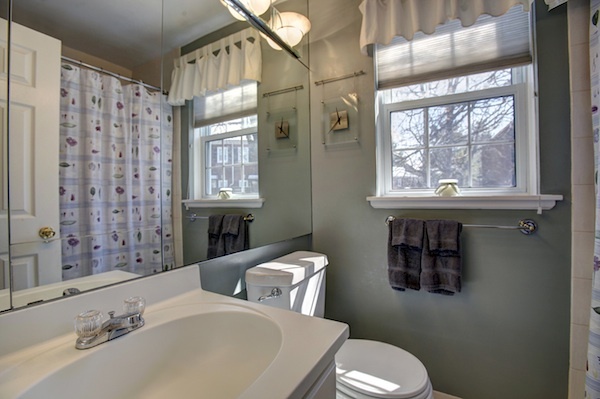 The full bathroom’s large mirror, natural light, and roomy vanity will make your morning routine a breeze (especially with an open window!). 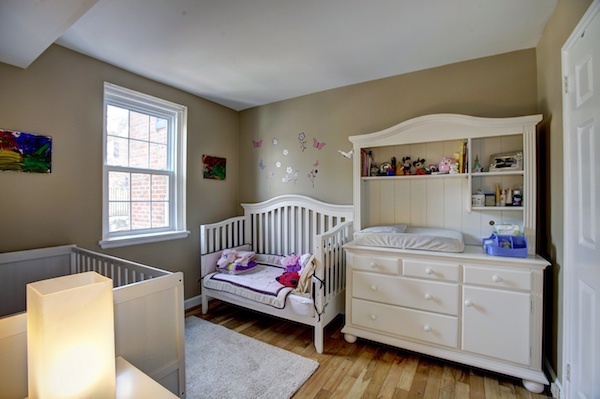 The bright upstairs bedroom will be perfect for a child, guests, or an office. It’s got great closet space too. 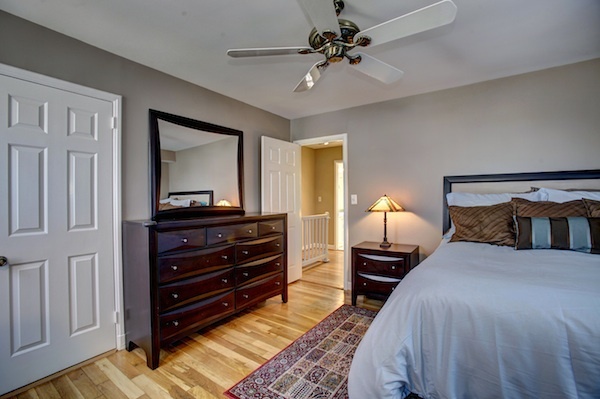 The sunny master bedroom features 12×12 feet of space – fit your bed, your dresser, and more! Plenty of room to move around plus another great closet space too. 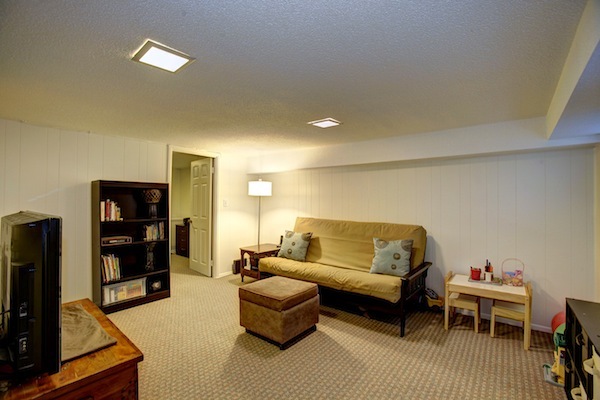 This carpeted basement room is the perfect recreation space for watching TV, playing games or just hanging out. 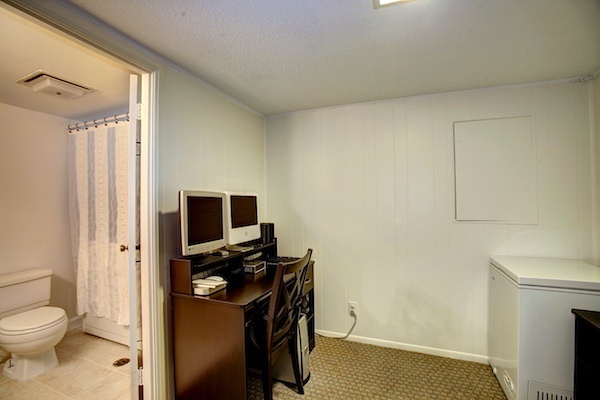 Here’s another basement room that can be converted to an office, den or whatever you want. You’ve got a bathroom right there so no need to head upstairs. 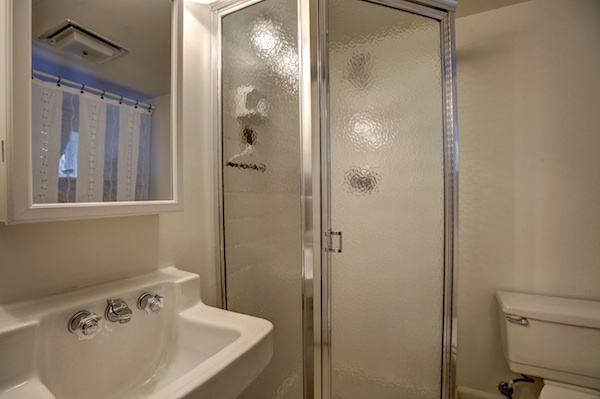 The full bathroom downstairs is extremely handy and includes the washer/dryer units. 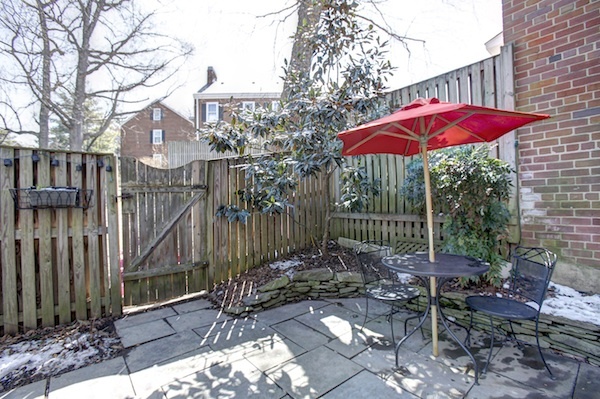 Enjoy your own private backyard patio all year long – invite friends and family or just go solo relaxing with your morning coffee or evening cocktail. 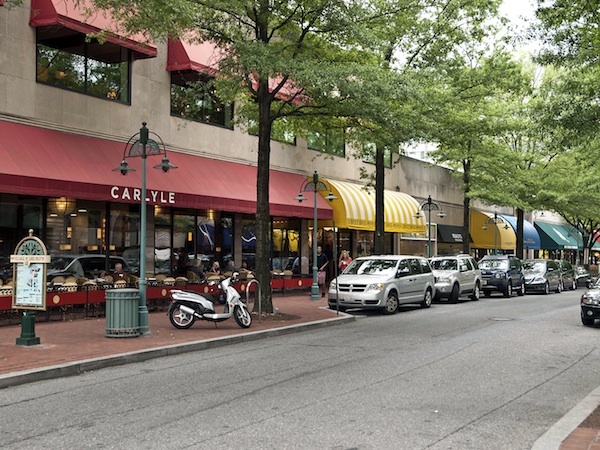 Head over to Shirlington for its restaurants, shops and theaters. 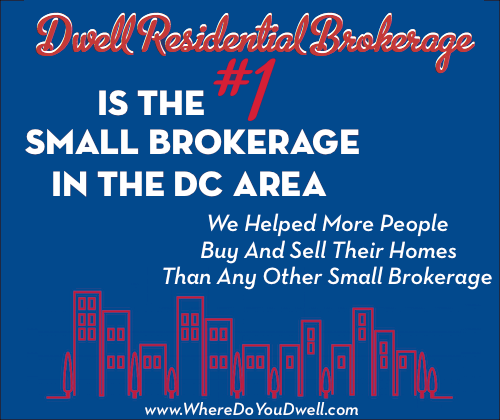 It’s just a quick ride or short walk from your home. 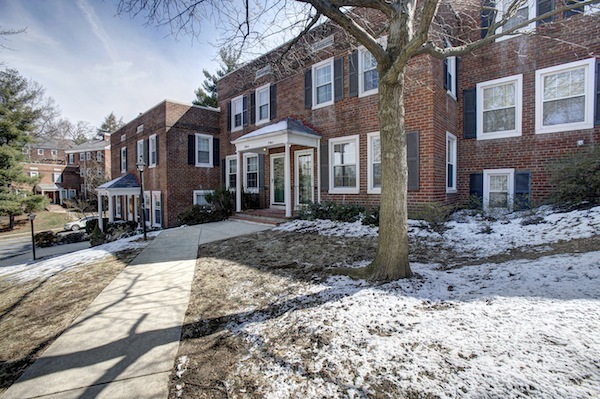 You’ve also got a nearby dog park, great bike baths, grocery, pharmacy, dry cleaning and more down the road. All of that and a quick commute to DC!